The answer to this question varies like the phases of the moon. Some people will tell you once a week, twice a week, every Saturday, every full moon, every month, twice every year or whenever you feel so called. The thing is, like anything that causes the brain to be happy, we want more. A psychic reading can be invigorating and energizing, especially if you heard something that was really positive for your life. When this happens, we tend to want to hear it again and again. Ask yourself why you want a reading? Is it habit? It is a visit to someone you really like and is always saying the right thing? Do you really need to know something that you can’t ask your own heart right now? Knowing the reason for your visit and being really honest with yourself as to whether this reason makes sense will help you determine whether you need another reading this week. What’s your budget like? While we’re not in the finance industry, we know the cost of services out there can sometimes be higher than expected. A psychic reading can easily have you drop a good share of 20s, depending on where you go. Getting multiple readings can become more expensive than anticipated. If you have to choose between good groceries or another reading this month, tap in and evaluate. Ultimately, it’s up to you to decide. What happened during your last online psychic reading? Did you feel unfulfilled or dissatisfied? Did you feel like you had more questions, but time ran out? Some people, especially during one of their first readings, don’t feel comfortable enough to ask all the questions they could’ve, which is understandable. If this is the case, or if you felt incomplete after your last reading, why not ask your psychic for their opinion about scheduling another one? The most important thing is to feel complete, so that you don’t have to run to your psychic every day. Speaking about feeling complete, we recommend being very present during your reading so that you don’t have to have multiple readings in a short period of time. You want to make sure the information you’ve received from your intuitive has time to sink in before another bout of data comes rushing in. If you have the feeling of, “Oh I forgot to ask this” and rush back to your psychic, we recommend writing it down until it’s time to see this person again. If you’re “constantly forgetting” to ask, you may have developed an addiction to your psychic and may be looking for answers from this person on how to run your life, rather than from your own intuitive knowledge. This is our toughest advice. If you’re prone to symptoms of depression, mania or obsessive compulsion, it’s important to check in with yourself and understand that many psychics are not health professionals. If you’re using your reading as a getaway from your health professional, really check in. Although the information given by readers is often curious and exhilarating, it’s no supplement for treating a serious condition. You can always check in with your therapist to determine the benefits of your psychic readings and get advice as to the frequency they recommend. If you’ve just had a reading, but you believe someone from the beyond is attempting to speak to you again, check in and determine if you want another reading. 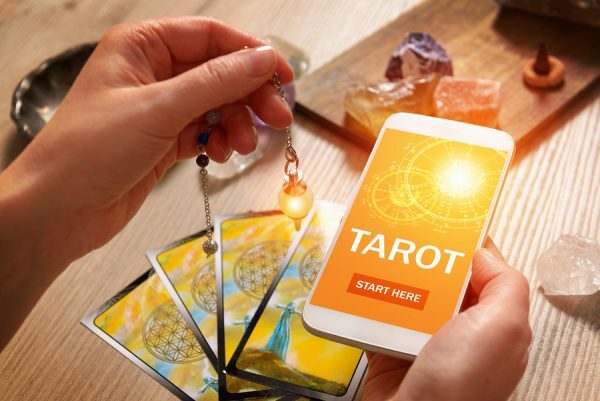 Although we believe everyone is a little psychic enough to feel their intuition, we can’t all receive the messages from the other side as clearly as psychics. Tap in and find out if having another reading is what you want or need. If it is, a quick phone call to your psychic will help you determine if scheduling your next appointment is right for you. There are many reasons to get a psychic reading, but the frequency in which you receive one is up to you. Our biggest recommendation is to follow the tips above and check in with yourself. It may be that you need to wait for budget, desire or need. Also, remember to ask yourself if you’re getting addicted and if you really need another reading. It’s important to feel good about your choices when it comes to your psychic readings! Create a good relationship with your psychic and they’ll also help you determine the frequency of your visits. If you need help finding a psychic, check out our top 10 list on our homepage!